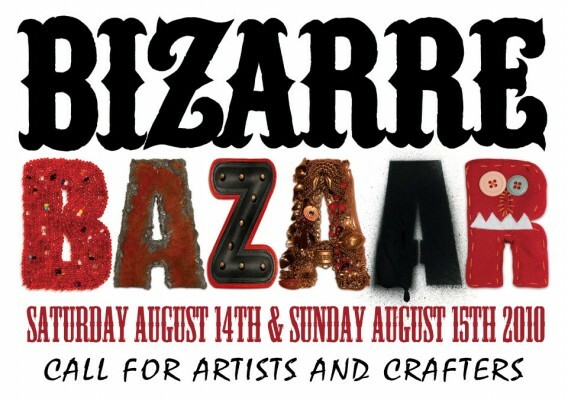 There’s a new art and craft show in the works on the grounds of Theatre Bizarre, and they are now accepting vendor applications! The fair will be Saturday, August 14th 10am-2am and Sunday, August 15th 10am-6pm, outside on the Theatre Bizarre stomping grounds at 949 West State Fair Rd in Detroit. The show will be juried, and interested applicants can read more about the show at BizarreCulture.com, and email artists@bizarreculture.com to receive information about applying. I make what i call shop art, made from parts from around my small engine repair shop. Is this held every year? If so I am very interested in hearing how I can show my handcrafted work, I call them candy trees. I have seen alot of them online but NONE are like the ones I have created. id love to know if you will be having bizarre bazaar again. i def want it on my calendar. Hey guys, Handmade Detroit is not the host of this show, and I’m not sure if it is being planned again for 2011. 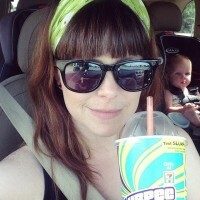 I’d suggest checking out the organizer’s website, BizarreCulture.com to find out!